Quite often we receive support requests for Yoast SEO and its premium add-ons, all asking one “simple” thing: why isn’t Google picking up my page title? People who changed their page title and see that the search results still show their old title are bound to think Google didn’t “get” the new title yet and they might even blame their SEO plugin. There is no way to prevent this from happening right now. Which is annoying in many ways, but not something we can help, sorry. If you’re mad about it or find it annoying, tweet to @JohnMu, maybe he’ll do something about it. In the past Google sometimes used the open directory projects title for a page instead of the page title, and there was a <meta name="robots" content="noodp"/> tag to prevent this from happening. I’d love to see something similar for this, but it’s not there yet. But… What we do learn from this. Write proper page titles. Not overly optimized titles targeting a gazillion keywords. No. Proper, one sentence titles that contain your brand name and your focus keyword. It’s not hard, just do it. And for your homepage, your title should probably start with your brand name, 50% of the emails we get is about homepages where people have ridiculously optimized titles instead of just the name of their company. Nice article, I agree that SEO over optimization is like shooting your own foot and a good way to ruin an awesome plugin like Yoast. This without any human intervention makes increase to the kind of reach of all people towards the market segment within the local, national as well as international levels and such get attained with Search Engine Optimization. This just happened to me recently. I had assumed it was because I had changed my title a few times before. Now I know what is going one. Sometimes the update or revisions that you have made on your blog title or description takes 2-4 months for Google to update on their search engine result. 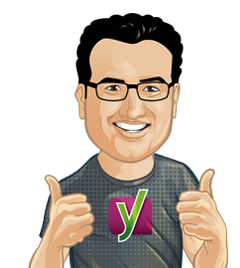 Thanks for sharing Yoast. Didn’t know about adding the brand name before the keywords would help. Always had thought otherwise. I completely agree with you. I actually had to wait a couple of days to come down before I wrote anything. We go through the pain of either correcting/writing highly relevant title and description to have the almighty Google decide if it is good enough??? Let’s face it, Google looks after number one Google and the only thing they care about is how much money they generate period. They could not care whatsoever about you and me even if they say they do. This is what happens when you get toooooo big. I just switched to Yoast from AIOSEO for this reason because I thought it was a bug that suddenly my meta titles don’t show up, when I try to post links back to my blog on Facebook etc.. For me it seems to be related to the latest WordPress b/c my pre-update meta data is still correct. Also the meta titles will display at the top of the page, just not when I post links to the page and want a different title to show. Now that I have switched to Yoast none of my newly created meta data is showing up though (it did not transfer the info for my homepage). I see it in the control panel, but it doesn’t show up online. I tried clearing my browser cache and that didn’t help. Not sure what else to do? Yoast seems much better overall, if only my meta data (snippets?) would actually show up. Google says “we may try to generate an improved title'” Mighty nice of them after I put a lot of thought into my title. Maybe I should just leave it blank and let them do it. My home page won’t display the right page title, too. I hope it’s great work. Our stats shows that longer titles separated in 2 parts, longer means titles over than 60 tags are not showed approprietly. Only first part is showing approprietly in google search results,second half is supplemented with official name of website. 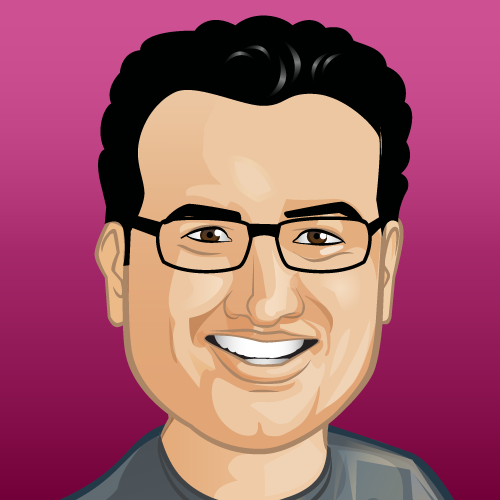 We are thinking about triming the second half, because site name is nearly useless for our seo purposes. So unfortunately It can be taken as a rule in this case it si not random. Great Stuff! For three weeks now we have the same problem with the title. We change the title. But 1 Week later the Site name comes back as the first Point in the title. Shithappens. If anyone don’t like this title from Google, then tell them. Thanks Joost for the Informations. It looks like Google Almighty strikes again. I get that they are trying to make searching better for the end user but their power to do what they want they is getting pretty scarey. Hey! I think of the same problem. Google must be doing this more frequently again as I’m getting more questions about page titles in the SERPs too. When you mentioned that you should “Write proper page titles. Not overly optimized titles targeting a gazillion keywords.”, I would also add that when you better target your page title to the actual content on page, you get better results in the SERPs with your page title output. When there’s more question about what content/URL/title to output, Google will test/guess more often. I’m not having this specific issue with my site, but I have been hearing lately about putting your brand name at the front of your homepage title tag. Personally, this goes against what I’ve learned in the past regarding title tags best practices. Typically, I would put my targeted keywords first, then the brand name at the end. But now I am hearing to put the brand name at the front, only on the homepage. Internal pages can have the brand name at the end. I just wanted to see if anyone has any solid proof that this is best practices. I read about this in a WooRank article within the past month, and I never heard that before. I can’t find anyone specifically discussing this, it’s just mostly people talking about Google changing it. I find the “|” to be involved. My title goes like this “my keyword here | brandname”. If I change it to, for example, “”, “my keyword goes here > brandname”, I get my old title back, but as soon as there is a “|” in the title, Google kicks in and puts my brandname first. It works for me. If it works for you, that´s another ballgame. Recently, I went through this very problem and thought it was a plugin problem. However, after reviewing alerts in Google Webmaster Tools it seemed to be a problem with Google bot crawling the site which resulted in Google shortening and adding our brand to the title tag. I have the problem in the past but when using some code to separate the title, Google able to retrieve the title easily. 1. How popular the website is. 2. Uncommon coding in title. 3. Based on keyword drawing visitor to the website. 4. Linking from another influence blog/website. 5. Google think ‘they have better title’ for some website/blogs. I maybe wrong but that are my assumption so far. I have few blogs and few of them shown Google retrieve the title and description without problem and using it in their search page. I left the setting from original CMS along with native setup of WordPress SEO. I”ve had this problem and also the problem where i enter a description text, and google just takes a summary of the article instead. Very annoying when you are using your title and description as an advert for people to come and click to enter your site. Yes, oftenly I don’t get the title I hope it will appear on the google search. Of course this is very annoying for me. Clearly my original title already had the brand name in it so there’s no need to rewrite it, it’s descriptive and not spammy. Sorta frustrating. The intent of Google is to improve click through rates in much the the same way that dynamic keyword insertion in adwords adcopy supports higher click through rates. I suspect if you have a good title to begin with, and a good meta description and the page is of sufficient quality, then Google’s page title tinkering could help. However, if a title tag is missing or inappropriate for the page, then Google is forced to come up with the best title it (an algorithm) can. At least it’ll be an improvement but I’ve seen some unintentionally funny/bad titles — but only in cases where there was no title to begin with. Making sure the title is relevant and designed to encourage click through from the SERP is the best, and only thing, one can do. Often when the site/brand name is at the end of the title, it’ll move it to the front and put a colon after it before showing the other parts of the title. Thanks for sharing your knowledge. I appreciate it. My blog has a kind of literary character. So my titles are not always functional, but funny or intriguing or… Google has no sense of style or humour, I am afraid. What would you recommend me to do (on the title-CEO front)? I wrote an interesting post a few months back that discovered and fixes why Google would keep showing “Comments On” as title tag. Looks like the problem was from WordPress RSS feed issue and Google poor Title tag selection algo. You state that you would “love to see something similar for this, but it’s not there yet”, implying that you would like a workaround to allow you to override Google’s decision for the title that is shown in the search results. I’m wondering why you would want that. I can understand that you would like it for your own pages (wouldn’t everybody), but in general? This would defeat the whole purpose of this approach that Google has chosen. I believe the reason for this approach is partly the same as (part of) the reason for Google not using the meta description as the snippet: people are misusing the title to get people’s attention to their results, even though their result might not be the result that is of the most interest to the user. Google’s approach allows them to alter titles that they deem irrelevant, thereby taking away yet another way for people to direct people to the search result they please, and not the one that is most relevant to the searching user. Hmm it’d help if you read the entire article before you commented Jesper :) But also, Google *has* made annoying mistakes in this process, which leads me to wanting that tag at times. I know they’ve used anchor texts that claimed things about companies that weren’t true, for instance, which is annoying. Why would you assume I haven’t :-)? I know you’re saying it probably won’t be introduced for the exact reasons that I don’t want it to be introduced, but still: you would like to see it (at least, that’s what you literally said right before the last paragraph). I infer from this that you think it’s a bad thing that they’re doing that, or there should at least be a workaround. Which still leaves me wondering… why? You do address the problems that would arise in the last two sentences, but I still conclude that you think that there should be a workaround – or is that a wrong conclusion? Disregarding the mistakes they have apparently made, I think this is a good development. Yeah, I had the same issue on my site. Then did a little bit more reading to find out that Google was doing it. Same happening with my website. my web page title show different with different keyword. 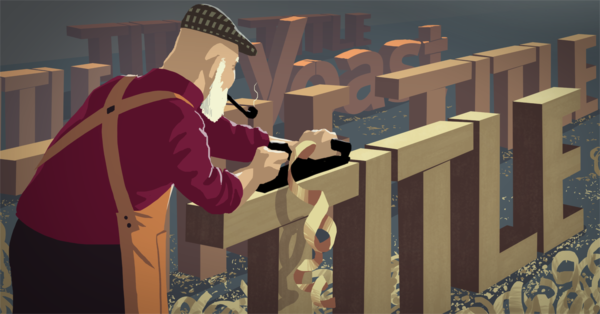 Thank yoast for sharing.